Your day the Goat way. We have delivered great pizza into weddings across the country...find out how. 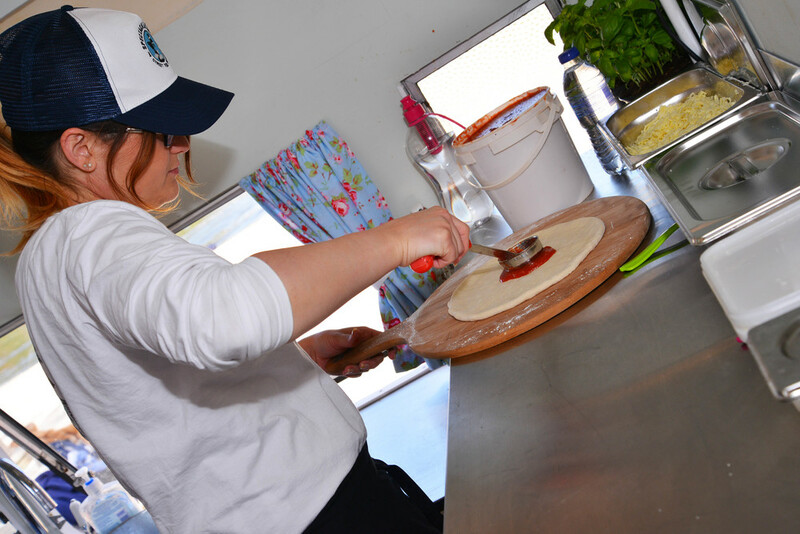 Whether you book our 1950s vintage caravan or our 1960s vintage VW Pick Up (Ready Spring 2016) you'll get fantastic service and our great fresh sourdough pizza. From the outset we put quality at the top of our agenda, quality of product and quality of service. When it comes to your wedding you want quality. You want someone who will come and view the venue with you to discuss what you expect for the day. You want someone who will treat your guests well and serve them great food. Our vehicles have been customised to allow us to look great at your wedding. You've spent plenty of time planning this day and choosing a beautiful location for the reception, so let us compliment that with a visual treat as well as a taste sensation. If you want talk through the full options for your wedding please either complete our enquiry form or give us a call.